Microsoft provides an opportunity for the IT graduates to get the certifications in order to become a professional in their field. The learning process of the certification is long but it is worth your time, if you are wise enough to make your place in the competitive IT industry. The Microsoft MCSA certification helps you to revitalize all the concepts of IT along with learning practical implications on the systems regarding the installation, configuration, and troubleshooting. It helps you analyze the systems through the networks connected to LAN or WAN. Let us discuss some of the facts associated with Microsoft MCSA certification to have a clear understanding of this certification. Microsoft MCSA certification works as a retooling for the IT individuals to help them reach the top of their career. It updates the participants about the updated and trendy areas, which are popular in the field of IT. The MCSA certification requires you to recertify after a year, reaching the next level. 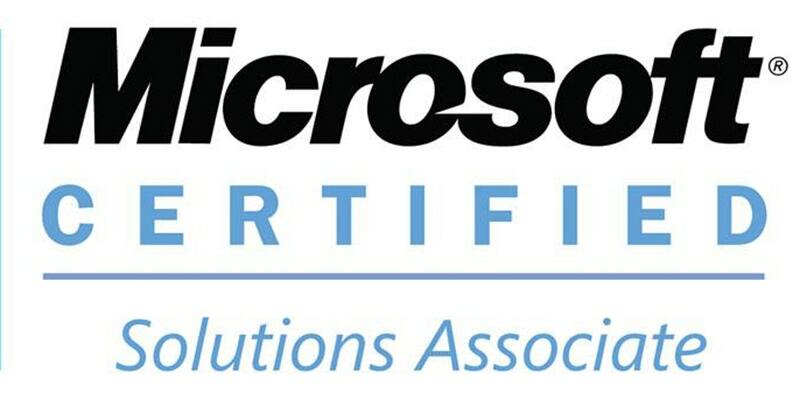 Such as if, you have MCSA then you will have to do the recertification of MCSE, which stands for Microsoft Certified Solutions Expert. As you move forward in the years, the certifications excel and make you a professional within few years. You cannot keep one certification and use it forever. With the IT individuals, it is necessary that you keep the record of time and reach out to move to next level so that you do not fall into the old-school traps. Revamping of the certification is necessary to bring consistent improvements in the company. These credentials work for you to stay at a company with having a prestigious place and high payout. When you show the recent Microsoft certification, the old one does not really matter because you are able to reach the next level by passing the requisite. For example, if you have done MCSA and then MCSE, so you just have to mention the MCSE. It will indicate that you have passed the pathway of MCSA and MCSE both to reach the expert level. The exams for the Microsoft MCSA certification are available with one provider, which is the only Prometric. It is available globally so you have to find the nearest local exam center to have an attempt at the exams. You can take the free beta version of the exams to have an overview how the MCSA exams look like. You can take the exams as many times as you want which is valid until the actual exam time. It is as if you get the training to take the exam through the beta version of Microsoft MCSA exam. At Buyitcert.com you can find all the study materials you need. This approach makes the exam less stressful for the individuals so make sure to ponder over it. If you are looking for a high payout job that too in IT related field then you will not get it until you complete the Microsoft MCSA certification. It is the first step with getting started with the career, which leads you to the top eventually.